Jacqui has been selling real estate in Featherston for the past 2 years for Professionals Patrick and Scott. Having raised her family in Featherston and being part of the community, Jacqui has a genuine interest in wanting to help people in a town that is close to her heart. Buying and selling property is one of life’s biggest decisions. Jacqui understands how important selling your home is, and getting the best result for what is for most people, the biggest investment they have. Jacqui has vast local knowledge with a warm, welcoming manner and her integrity is second to none. Jacqui has noticed a huge change in Featherston over the past 18 months, the town is blossoming and has a lovely vibe about it. Featherston has always been a great township in its own right with a wonderful family oriented community. Dotted with cafes and unique shops, people are now stopping to explore Featherston and all it has to offer. We’re seeing a lot of young families, as well as creative people moving to town. And why wouldn’t you, an hour on the train to the city isn’t a big compromise, when you get to enjoy the simplicity and sense of community that comes with living in a small town like Featherston. 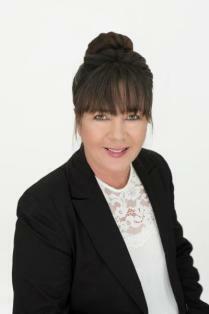 Contact Jacqui Jones today for any of your property needs.